Michael Earl Moore obituary. Carnes Funeral Home. Michael Earl Moore, age 54, unexpectedly passed away, Saturday, November 17, 2018. Born in Texas City, Febuary 24, 1964 to the late James Benjamin Moore Sr. and Billie Jean Hooter Moore, Michael was the youngest of three children. After graduating from Texas City High School, Michael remained living in the area until joining The United States Marine Corps in 1983. Shortly after leaving the military in 1987, he met and married his wife Cathy Davila Moore and became the loving father to their son Mikey Earl Moore of Santa Fe. Friends and family will remember Michael as a thoughtful, caring man who enjoyed being around and involved with others. 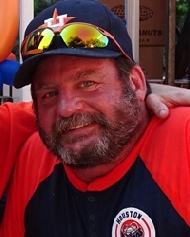 As an avid sports fan, Michael enjoyed teaching his son about his favorite teams, the Houston Astros and Dallas Cowboys and sharing his passion for the the game with his family. Supporting Mikey's inherited same love of sports, he coached baseball and volunteered for Special Olympic bowling. He also enjoyed travelling, scubadiving, NASCAR, off-roading, and was a member of Lulac and the Tacoma Beach Off-road club. He is survived by wife of twenty-eight years Cathy Moore, son Michael "Mikey" Moore II, mother Billie Jean Moore, brother James Moore Jr, his wife Linda, sister Debbi Schoppe, her husband Joe, and numerous nieces, nephews, and cousins whom he loved.